When the 2017 Tour de France race route was recently presented to the public, its companion race for professional women – “La Course” – was shifted out of the global spotlight of finishing on the Champs Elysees on the iconic final day of the Tour, and moved to a one-day mountain challenge in an isolated part of the Alps. This change is both a tangible and a symbolic step backwards; even the L’Etape du Tour (the annual one-day Tour de France fan appreciation sportif ride) is longer and arguably tougher than this proposed event – which is supposed to be the premier annual women’s one-day professional race. This women’s race to the top of the mountain perfectly mirrors the broader challenges faced by women’s professional cycling. In this third and final article in our series, we look ahead and suggest how women can change the longer term future direction of their sport. Any roadmap for the future of women’s cycling must first include a significant overhaul of the sport’s governance structure. There clearly can be no forward progress without uprooting and eradicating the culture of sexism which still affects the women’s peloton. But transforming this entrenched culture, across all levels of the sport and the various national cycling Federations, won’t be easy. Pro cycling has yet to really assess and understand the full scope of the problem. Step 1 — Form a separate women’s riders union. It is time for the women’s peloton to form its own organization – one which can directly negotiate in favor of the riders’ interests with the teams, race organizers, and the UCI. As suggested previously, the women professionals must take a more direct ownership stake in order to drive changes in labor rights, governance reforms, and economic growth. Any women’s association or union should be different than – and operate independently of – the current men’s riders association, the CPA. The CPA unfortunately has limited authority and powers, and its interests are divided across many national associations which are loosely held together under its umbrella. The sexism and abuse which have proliferated in the women’s sport are shared and universal concerns, regardless of whether the rider is American, Japanese, French, or Russian. The best way to stamp out this shameful legacy is to attack it collectively under one banner, without regard to separate national rider associations, and by exercising the power of all women in the sport. An emergent riders union – even a relatively small founding group – could begin to address these issues of sexism and economic disparity, coordinate with the CPA on certain race safety and competition-related concerns both groups share, and start to provide women racers with a more influential and powerful voice. Step 2 — This union must pressure the UCI and Federations for major governance reforms. There are two key changes the riders must fight for. First, the sport must close its ethics procedural loopholes and enforce a globally binding stance against sexism. Second — and more radically — the issue of under-investment in the sport must be tackled from a new perspective. The UCI deserves commendation for drawing a line in the sand and reinventing its Ethics Commission. Its previous ethics code was basically a statement of behavioral expectations, and lacked a grievance process. Yet there are significant shortcomings in how the new code is being communicated and enforced; the riders are still largely unaware of how they can file a complaint. And as noted in our previous article, the new grievance process does not provide all parties with notice of an investigation, or warnings to all the parties not to tamper with or retaliate against anyone in the scope of the inquiry. This potentially places the party reporting abuses at the mercy of the alleged abusers. In one recent news story, Slappendel described the outcome of a grievance that she helped a group of ten riders to file with the UCI Ethics Commission. However, according to one of the women we previously interviewed (and again speaking on condition of anonymity when sharing these additional details), half of those women backed out of the grievance before it was officially filed – out of fear that the alleged perpetrator would retaliate and endanger their careers even further. The UCI responded to our questions regarding this issue, and stated that its new Ethics Commission is constrained by certain international legal guidelines. “The person who provided the information to the UCI Ethics Commission,” the UCI wrote, “has restricted rights in relation to the procedure as is the case in any procedure of a disciplinary nature.” The UCI also confirmed that the new code only covers events that took place after the new code was adopted on June 2, 2016. This situation has unfortunately raised the level of fear of speaking up. Other women we’ve spoken to have also refrained from filing complaints due to these shortcomings. The UCI sets the tone for the professional sport from the top-down as the regulator for global professional cycling. It must act decisively to protect current and future women professionals from abuse by unfit personnel, and ensure an expectation of fairness and personal safety. More radically, the UCI should consider a major change to its team licensing regulations by updating the rules which oblige each men’s WorldTour team to fund a lower division development team. One of the biggest disparities between the men’s and women’s sport is obvious: investment in the future. Male riders already have multiple proven pathways into pro cycling. There are well-developed, privately funded amateur development programs throughout the sport’s powerhouse countries, with numerous club, elite, and collegiate teams feeding into lower-division and Continental professional development teams from which the WorldTour teams can poach talent. For the women, there is essentially only one historically proven path: start with a club or collegiate team, get noticed by the Federation, associate with a well-respected coach in that Federation, and fight for a spot on the National Team. It is otherwise extraordinarily difficult to get noticed in their sport. This puts the underfunded women at the mercy of politics in their Federation programs, the will of specific coaches, and opens them up to the potential abuses inherent in exclusive development systems — exactly as was found in U.S. Gymnastics. One alternative going forward would be for each men’s WorldTour team to have the option of sponsoring either a men’s development program or a Women’s WorldTour (WWT) team. And this regulation could be crafted so that – over time – up to half of the men’s WorldTour teams must also support a WWT team. This change could be phased-in over a period of several years, adding one to two teams per year, to reduce talent poaching impacts on the existing WWT teams. Such a phased approach, perhaps with agreements to cap the size of team rosters, a requirement for a certain number of women to be team officers, and/or a ratio of new pros to veterans on each team, would help to ease in a new system. This regulatory change would not be that difficult to structurally implement. It could leverage some existing team infrastructure and management assets. It places more incentives — and pressure from those WorldTour team sponsors — on race organizers to add and broadcast women’s races wherever the men are already on the road. It disrupts the current development system by creating more career opportunities, would spark a rapid move towards parity, and present sponsors with new and diverse ways of connecting with fans. While certainly controversial, this proposal could redefine the economics and competitive structure of women’s professional cycling in one carefully planned, but swift motion. Step 3 — Collaborate with team management and ownership to help form an association of women’s teams. An organization of teams is also needed for there to ever be a minimum contract value and many other fundamental athlete rights in women’s professional cycling. The potential women’s union cannot modernize the sport and increase the influence of the athletes without a team ownership organization to negotiate with. The UCI is not the riders’ employer, and cannot determine a rider’s economic value or set a minimum contractual salary standard, despite many parties advocating for some kind of minimum wage (including UCI President Brian Cookson in his 2013 election platform). A minimum salary and other critical employment conditions can only be achieved through some sort of Collective Bargaining Agreement, or a “Joint Agreement,” similar to what the AIGCP (association of men’s pro teams) and CPA created to determine the conditions in men’s pro cycling. All the individual riders negotiating separately with their individual teams will never accomplish this; an association representing the labor force (riders) and an association of the employers (teams) could negotiate this reasonably quickly. And once the goals of the riders and teams were aligned, it would be far easier to negotiate change with the other power brokers in pro cycling – namely, the UCI, and the race organizers. As we have pointed out in prior articles regarding the men’s sport, no other professional sport has ever grown very large or financially successful without this kind of balance of power in place between athletes and their employers. A strong team’s association would also allow the WWT licensees to negotiate as a single entity for more diversified sponsorship investments – particularly sponsors and investors focused on the economic drivers and consumer trends important to women. The cooperation of a women’s union and a corresponding teams association could be the catalyst to change many aspects of the sport’s economics. There is no broadcast or content licensing which would allow fans to watch the 20 current WWT races in a coherent way; only half of the events in 2016 had any live television coverage at all. 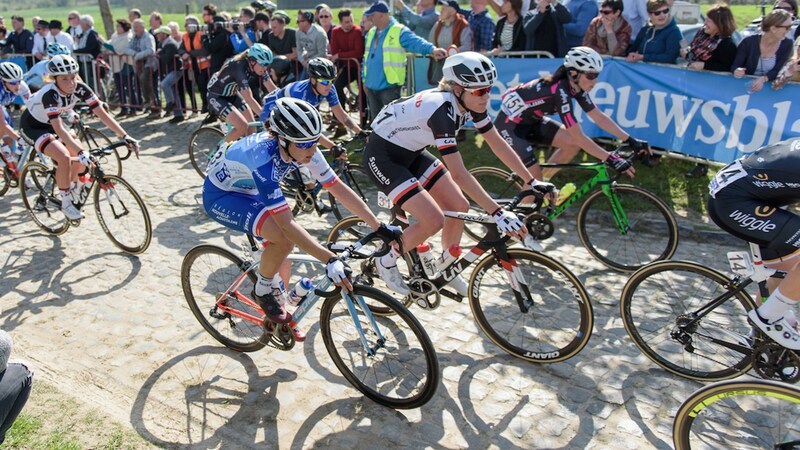 Much like men’s pro cycling outside of the European market, it is often difficult to find televised or internet broadcast content for women’s racing. Hence, existing fans are frustrated, it is difficult if not impossible to connect with new fans, and sponsors must contend with a lower return on their investment. 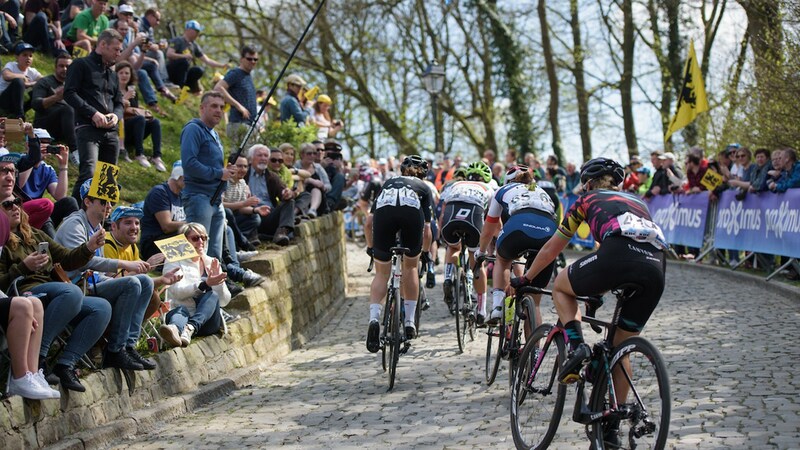 Women’s pro cycling is still small and agile enough that stronger collaboration between event organizers and key sponsors could make a much more attractive broadcast package possible. And this is perhaps the sport’s greatest strength: that the right investment and leadership team can quickly transform the sport, as if from a blank template. These are just a few of the potentially exciting changes which could revitalize and transform the sport. It is very encouraging that the women’s peloton is beginning to find its collective voice – and beginning to address some of these problems in a direct and head-on manner. Conclusions: Whereas the men’s sport is still burdened with an unsustainable financial model, many questionable personalities, unspoken political alliances, and a deeper cultural legacy of doping, the women’s peloton has the opportunity to more or less reinvent their professional sport from the ground up. Cycling fans immediately connect with the competitiveness and spectacle of women’s racing today. Women’s pro cycling has the tremendous advantage of carrying all of the financial opportunities inherent in the global sport, yet with much less historical baggage holding it back. Women’s professional cycling should create and follow its own strategic roadmap, rather than continuing to attempt to copy the model which inherits and perpetuates much of the dysfunction in men’s pro cycling today. 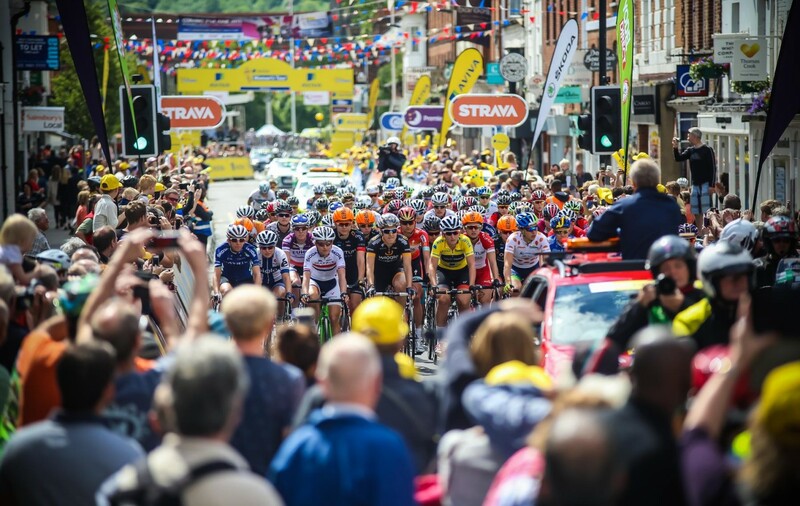 Several of the reforms we suggest could even help disrupt the balance of power across the sport by shifting sponsorship priorities, and provide new opportunities for all of pro cycling to prosper. Women’s cycling is healthier today than it has been, but its athletes must now move to the front and lead the way if the sport is to truly flourish. An emerging association of women athletes in combination with new stakeholders from outside the traditional power base must strive toward new objectives and institute new metrics of success. If they leave the future to today’s governance system and institutional infrastructure, they may lose the race. The women must move to own the road and take control of their sport – it is their race to win.